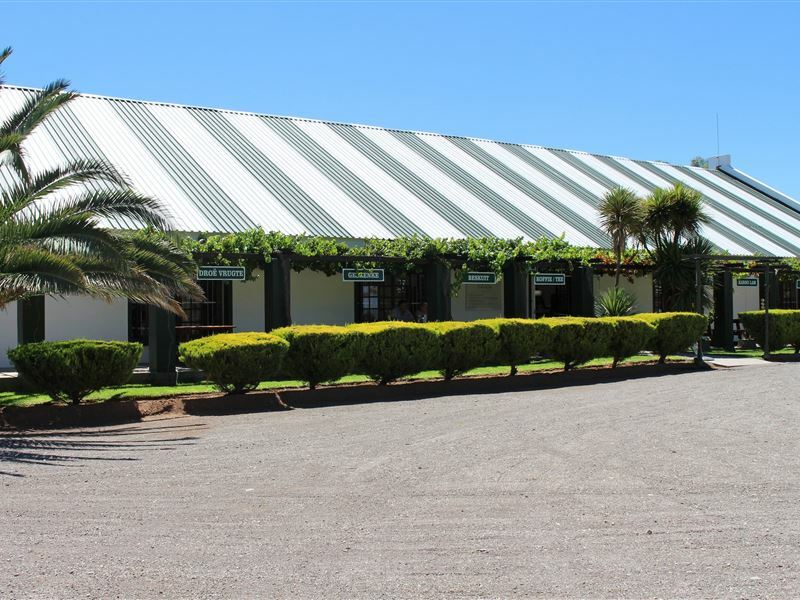 Travalia Guest Farm offers overnight accommodation, conveniently situated on the N1 at Three Sisters, near Beaufort West, Victoria West, Murraysburg and Richmond. 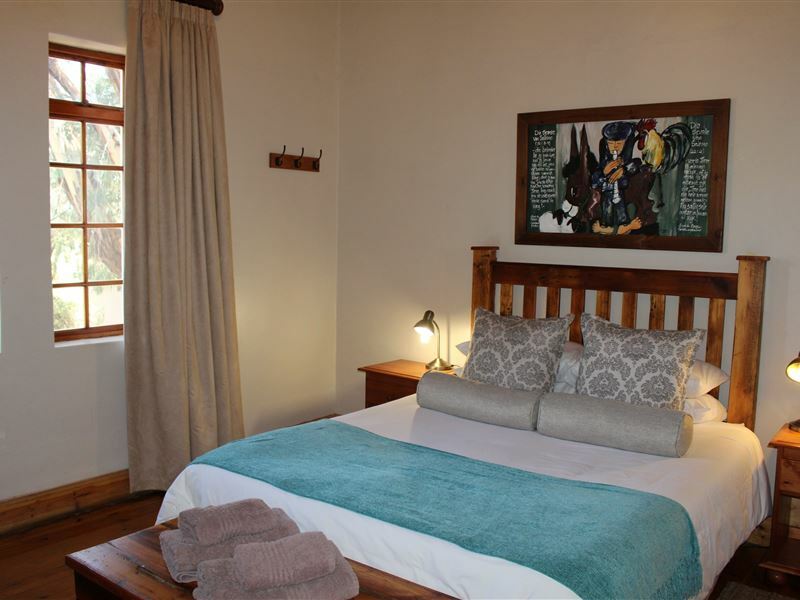 At Travalia Guest Farm we are proud of our clean and comfortable overnight accommodation. Tourists and holidaymakers can, without any hesitation, book at Travalia because excellent service, a neat clean and comfortable bed with a warm bath or shower is our guarantee. 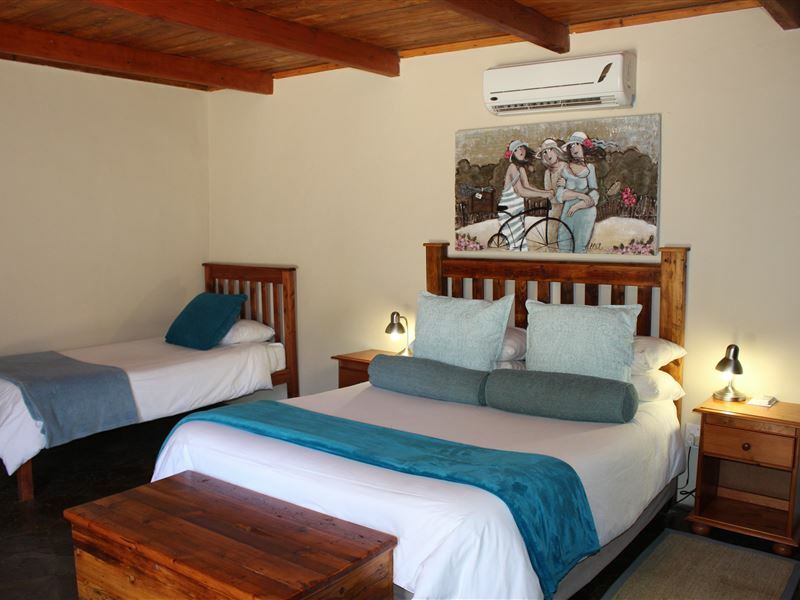 Each one of our 26 spacious rooms is equipped with aircon, its own bathroom, barbecue facilities.Travalia Guest Farm is situated 500 m from the N1 highway and 1 km south of the Shell Ultra City Three Sisters. 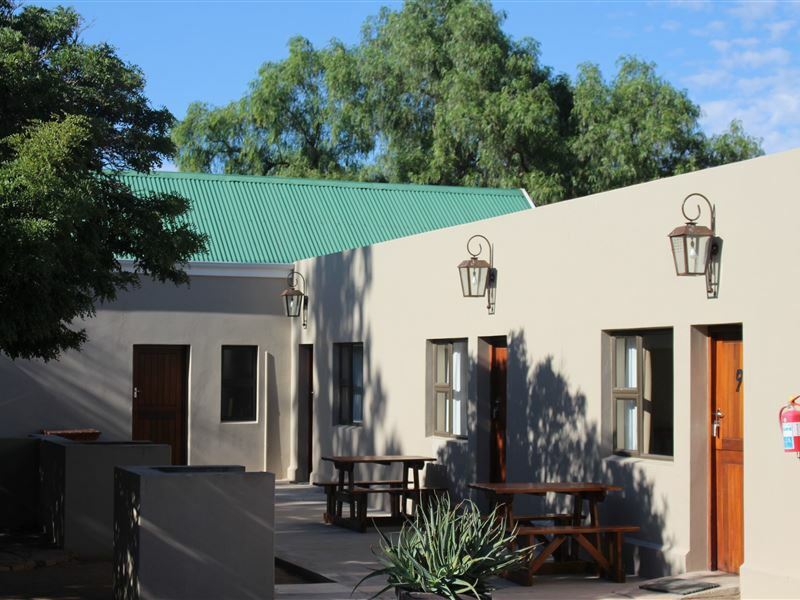 It is situated on a farm with a very peaceful atmosphere, lovely gardens, green lawns and a play park for energetic children. Tasty meals are available in the form of barbecue packs, consisting of Karoo lamb chops and sausage or traditional meals such as leg of lamb, lamb neck and chicken pie. Braai breads are also made for guests, as well as the provision of wood. 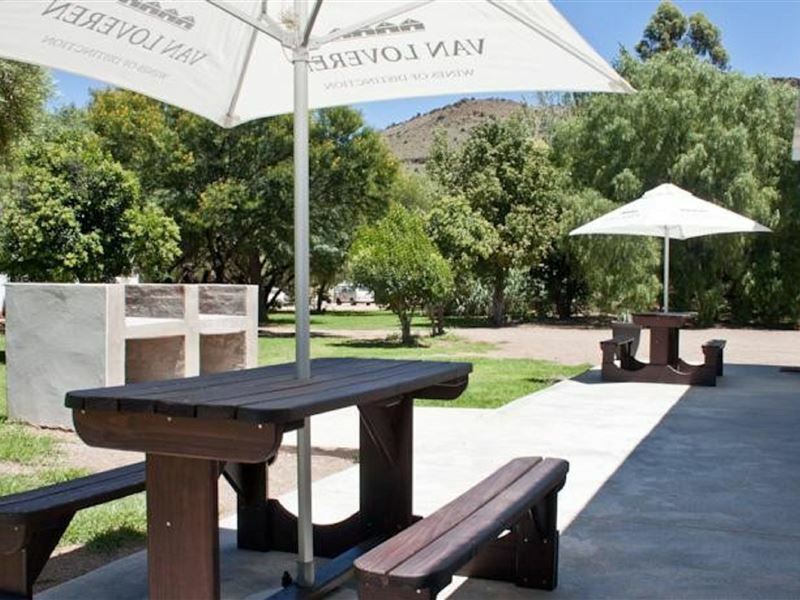 Travalia Guest Farm is fully licensed and cool drinks, beer and wines are available at the main reception. Breakfast and other farm produce are sold at the farm store. We have a swimming pool which can be enjoyed. Sheep and cattle are farmed on the farm as well as a game, namely kudu, springbok, blesbok, and a variety of smaller antelope. "The staff were friendly, the room was beautifully decorated.We enjoyed our stay and could relax and rest up for the next leg of our trip. The dinner was also incredibly good"
"All the staff were incredibly friendly and made us feel at home, our dinner was served on time and it was delicious! I can definitely recommend the lamb shank." "Very impressed will stay there again"
"Loved everything. Enjoyed the big bedroom." "The place is clean and accessable from the main road. 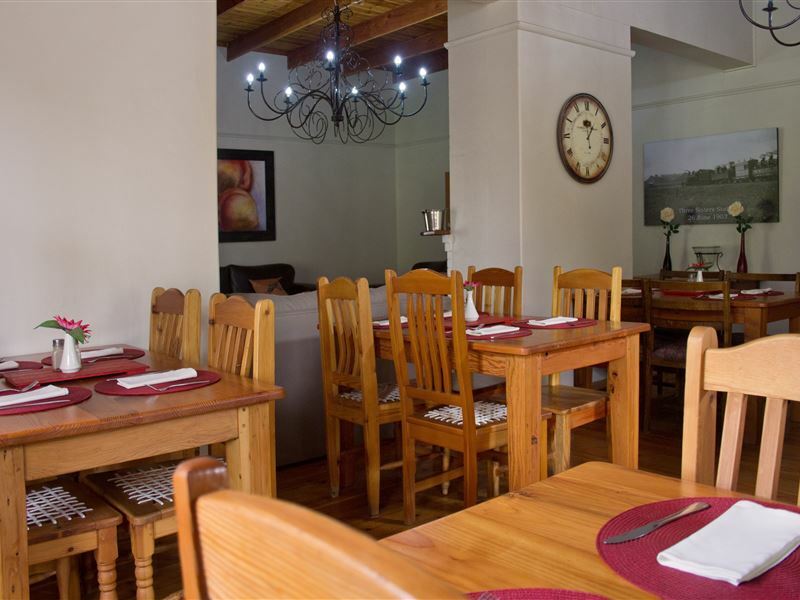 The personnel very friendly and helpfull"
"Great accommodation with a wonderful dinner and breakfast." "Loved the fresh Karoo air. 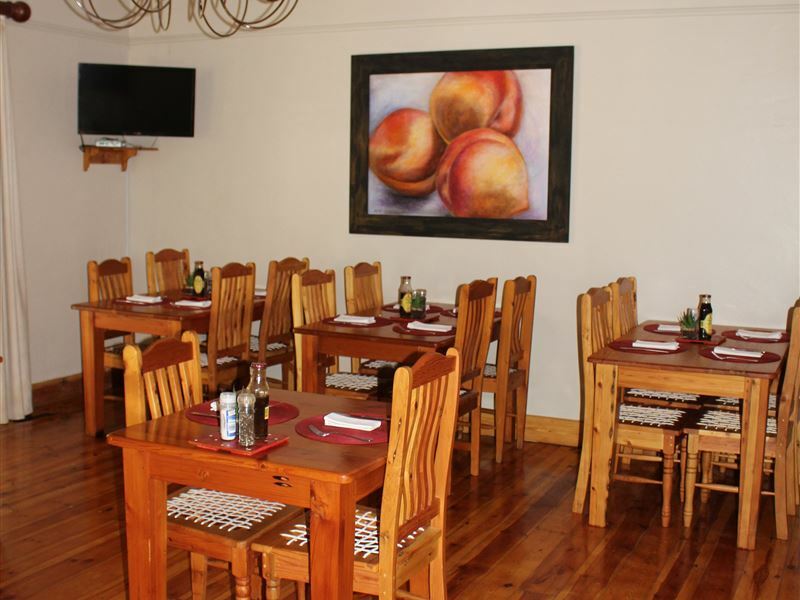 Beautiful surrounding, Outstanding food, clean room and friendly staff." 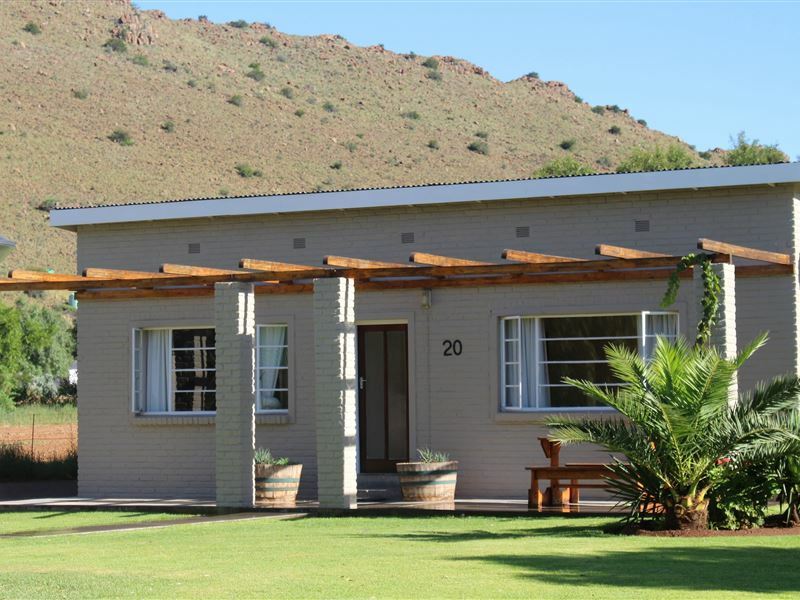 "The guest farm is well situated halfway between Gauteng and the Western Cape. 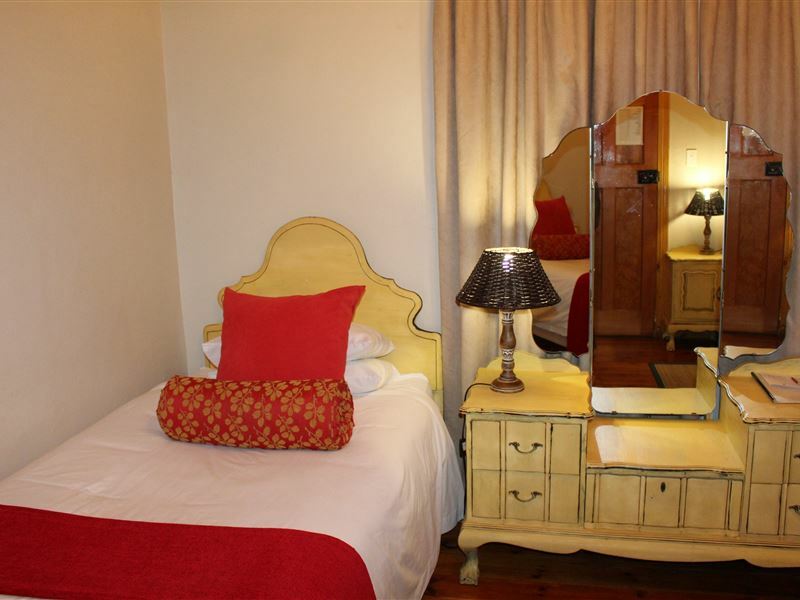 The accommodation is top quality and well maintained. The fire for the braai made by the friendly staff was an added bonus"